April 17, OSM Aviation CEO Espen Høiby featured in the E24 podcast ‘Lorentzen&Co’ with Marius Lorentzen where he talks about the company history, industry trends and misconceptions, OSM Aviation Academy and the order of 60 all-electric planes. We are excited to announce that OSM Aviation Academy was approved for government funding to assist students to receive their dream education! Despite consistent growth in air traffic demand, airlines struggle to survive in what has become a landscape riddled with declining profits, bankruptcy and consolidations. The industry is over-ripe for renewal and is in dire need of innovative and profitable business models. Those who do not adapt may face a short future. Captain Michel Treskin give us his insight regarding the importance of knowledge in aviation, especially if you will be taking the left seat one day. Check out some footage of our team in action at this year's Pilot Expo Berlin! We are excited to announce that OSM Aviation Academy is offering a fully sponsored Flight Instructor program! Don’t panic, it’s just a crosswind! Most videos regarding commercial aviation that go viral are mainly showing you aircrafts struggling to stay under control while coming in for a landing or right when they are taking off. That is mainly due to the wind blowing across the runway which are considered crosswinds. Captain Michel explains why not to panic when dealing with crosswinds. When in doubt; Centralize, Analyze! “Centralize” and “Analyze”, these two words might just save your life and your passengers’ lives, according to Michel Treskin. Read the full story, where he explains the importance of these concepts, and why they will help you stay focused in stressful situations. Written by our Head of Pilot Selection Michel Treskin, reminds us of the importance of "Airmanship and Common Sense". Meet us at the Pilot Expo in Berlin! Come meet us the Pilot Expo in Berlin on February 22-23! This years Pilots Expo will be more than 5000 square meters of exhibitions. The interview areas will be occupied by major airlines, training organizations and recruitment agencies. Read an excerpt of Stein Mjåtveits' the Director of Marketing at OSM Aviation Academy path to becoming a Flight Instructor and training the next generation of Pilots! We are excited to announce our plans to open new flight academies in the United States to educate and train ‘airline-ready pilots’. Norway’s former Minister of Transport and Communication who now moves to the US, will be heading up the initiative. AeroTime News Hub Interview with Espen Høiby! Watch this video Interview with our CEO Espen Hoiby that was recorded at this years Air Convention Awards. Espen explained to Clément Charpentreau from AeroTime News Hub his vision of the future of crew management. Bjørn Granviken has been appointed to the new post of Managing Director for the OSM Aviation Academy in order to further its strategic initiative for recruiting and training the pilots of the future. OSM Aviation Academy’s newly purchased Cessna 172’s arrived at the new training location in Arendal, Norway on Oct 16th after a 2 weeks long journey across the Atlantic. OSM Aviation Academy won "Pilot Training Center of the Year" at this years Air Convention Award! OSM Aviation Academy has been nominated in the category "Pilot Training Center of the Year" for the Annual Aviation Industry Awards at Air Convention 2018. If you believe OSM Aviation Academy should get this award, please vote at; https://www.airconvention.com/awards/. So, we loved your application and you have now a golden ticket to a cabin crew assessment day. We have some tips for you so that you can bring your A game! Ever wondered what the life of an Emirates Pilot would be like? Read this detailed depiction of what a typical work day would be like if you were a pilot for Emirates. We will be attending Embry-Riddle Industry Career Expo! OSM will be participating at the Embry-Riddle Aeronautical University Career Fair in Daytona Beach Florida on the 11th October. Come meet us at Flight Crew Futures job fair! Come meet us on October 17, 2018 at the Hilton London Gatwick Airport for the Flight Crew Futures job fair, hosted by BALPA (British Airline Pilots' Association). We are excited to meet industry professionals seeking new opportunities. Our Director Flight Crew Recruitment Michael Keating reveals our success strategy for competing in a pilot shortage-haunted industry. The Edinburgh Base celebrated their first anniversary on the 1st June 2018! Monday June 4th, OSM Aviation celebrated the 2 year anniversary of the Rome Fiumicino base! In addition to flying crew, a lot of both Short Haul and Long Haul crew took the time to come by to enjoy some cake at the office. Lucy Brazier grew up near Heathrow in London with a dream that she one day would work as Cabin Crew. Last Autumn, both Lucy's children left home as she was about to turn 50. - I thought it was now or never! An advert for Norwegian caught her eye and she applied for a position as Cabin Crew out of Oslo - 30 years after applying for the first time! Working for OSM Aviation and Norwegian Long Haul, you'll get to spend many nights away from home. For Senior Cabin Crew Member, Maria de los Angeles Granados Fernandez this is exciting, refreshing and an escape from the daily routine. Maria gives you tips on 5 things to bring on an overnight stay. OSM Aviation Academy and EPST have formed a new mentored airline pilot training partnership - bringing together the significant capabilities of both organizations to deliver innovative airline pilot training and resourcing solutions to the market. Founded on a bold and innovative idea of how to handle all aspects of aircrew provision for the benefit of both aircrew and operators, OSM Aviation has in less than 5 years reached the milestone of 5,500 permanent employees in 18 countries worldwide. Inspired by the achievements of their former graduate, Espen Høiby, now CEO of OSM Aviation, the top-ranked business school, IMD, portrays the successful business model of OSM Aviation as an example of disruptive innovation in recent case study. First Officer Marina Muzas Prieto is anything but stereotypical! Ever since she was a young girl, Marina has been interested in engines and been competing as a pro motorbike racer. We talked to Captain Emelie Bonin - a great role model who has been with OSM Aviation and Norwegian flying the Boeing 737 for almost 6 years. Emelie shares her views on equal careers, her motivation and what it's like to work as a pilot. Pilot Selection is important to assure a high quality of pilots for the future and a vital part of the safety culture of an operator. Come meet us the 29th Annual International Women in Aviation Conference on March 22-24, 2018, at the Reno-Sparks Convention Center in Reno, Nevada. A new record has been set for the fastest ever transatlantic flight in a subsonic passenger aircraft after one flew from New York to London in just over five hours. OSM Aviation (flying for Norwegian) Captain Harold van Dam was at the controls of the record breaking flight. During fall 2018 we will open the doors to OSM Aviation Academy, a new flight school at Norway's Arendal Airport Gullknapp. Is being part of flight crew glamorous, enjoyable and rewarding? Yes! But it’s also hard work. An important part of becoming a great Cabin Crew is to pass your training or a cabin course. But what is a cabin course, and what do you learn? OSM Aviation and CEO, Espen Høiby featured in the latest issue on Endeavour Magazine – where he talked about how OSM Aviation is going against the trends of the industry to the benefit of airlines and crew members alike. OSM Aviation is acquiring 51 per cent of the shares in Scandinavian Aviation Academy (SAA), which will become the largest pilot school in the Nordic region. OSM Aviation and Norwegian participated at this year (17th Oct) Flight Crew Futures in London Gatwick Hilton Airport hotel. CEO, Espen Høiby, featured in FlightJobs - giving us an insigth to his career and the OSM Aviation history. We are very pleased to launch our 2017 OSM Aviation Mentored Cadet Program in cooperation with Scandinavian Aviation Academy (SAA). Daniel Horak was sold at the possibilities to fly long haul from his home in Florida. Linn Isabel Berg-Pettersen shares her experiences with every phase from recruitment and training to graduation and what it's like to work as a Flight Attendant. The OSM Aviation recruitment team was in July busy with recruitment days in both Boston and New York, continuing the search for experienced cabin crew for the new B737-MAX bases in Newburgh and Providence. June 29th 2017, Norwegian took delivery of two of its 737 MAX-8 aircraft on order from Boeing. The airline will take delivery of an additional four MAX aircraft this year as the first European carrier to fly the 737 MAX. Thursday 15th June 2017 was a memorable day for Edinburgh and Norwegian as it was the eagerly anticipated opening of the EDI base and Norwegian’s inaugural U.S. flight to upstate New York. CEO of OSM Aviation, Espen Høiby, was invited to speak for a distinguished group of airline HR leaders at The Airline People Directors’ Council’s (APDC) annual conference on June 8th on the topical subject of “impacts of outsourcing – insourcing in the aviation industry”. We are happy to announce the New Chief Financial Officer, Anders Bonde Bakken – starting June 7th 2017. OSM Aviation is a proud sponsor of the aviation safety Conference. OSM Aviation endorse the UN’s Global Compact principles. OSM Aviation supports Foundation For Slum Child Care (FSCC). Interest in OSM Aviation’s business model is high. Come meet us at Flight Crew Futures 16th of February at Hilton London Gatwick Airport to explore our exciting opportunities for First Officers and Captains. 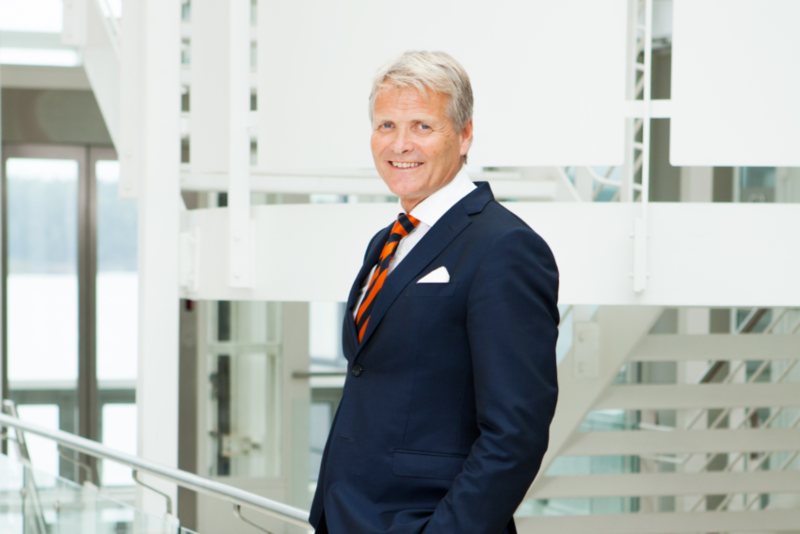 Espen Høiby, CEO of OSM Aviation, has called for a more visionary debate on the future of international aviation. NO: OSM Aviation CEO Espen Høiby deltok under Solakonferansen 19.-21. September 2016. This agreement represent a key milestone on the way to reach a CBA also for the Cabin Crew. OSM Aviation and Norwegian Air Resources Holding (NARH) formally signs the agreement to form a stronger global partnership in employment and management of aviation crew. CEO Espen Høiby presented OSM Aviation during the Arendal Week 2016 meeting Gerd Kristiansen, president of the Norwegian Confederation of Trade Unions (LO). NO: OSM Aviation CEO Espen Høiby kommer til Arendalsuka 18. august. Excited OSM Aviation crew of the inaugural flight ready to board the A350 in HEL for the first time. While the Norwegian Total Crew Management company, OSM Aviation Group, today has approx. 2,000 pilots and cabin crew in their stable, the company's danish operations director believes the number in a few years has doubled. OSM Aviation Singapore Crew was invited by the Embassy of Finland to join the networking event called “Finland Evening". A 50 per cent shareholding in the company has now been acquired by the Norwegian aviation group, adding further vigour to this global commitment. We are proud to announce that as of June 1st Aase Mikkelsen in the new Chief Operating Office of OSM Aviation. This acquisition represents an important step in a long-term strategy. All SIN base crew members have shown their potential and capability to act as an excellent cabin crew. OSM Aviation crew from JFK and FLL bases gathered in Washington together with Norwegian CEO, Mr. Bjorn Kjos. Our great new group of flight attendants graduated October 20 after 4 weeks of training at the PanAm Institute in Miami. OSM Aviation, Inc. is expanding its Fort Lauderdale operations with the hire of an additional 58 cabin crew members. Finnair will initially utilise OSM Aviation’s services on long-distance routes to Hong Kong and Singapore. The purpose of the visit was for the Minister to learn more about OSM´s activities in shipping and aviation. Our first batch of 51 cabin crew was recruited in New York in Oct/Nov 2013 and employed by Dec 18th 2013.